So, the countries that have been experiencing political unrest are tempting in so many ways; they are cheaper to get to, they are actively courting tourism, so hotel prices are way down, and their popular tourist sites are far less busy than usual. We are thinking specifically about places like Egypt; the problems have been confined mainly to Cairo, and even certain parts of Cairo. 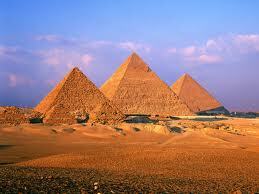 So, are the Pyramids of Giza fair game? Imagine touring a place like that, but without the crowds usually associated with it. Sounds like heaven to me. And how about Greece? With the financial issues plaguing them, surely hotels and resorts will be selling off their rooms cheaper, and the government will be desperate for the tourist trade. I’m picturing us in a little rental place in Santorini for a month, basking on the black sand beaches for mere pennies a day….aaah! So many advantages, but are such unstable countries safe for family travel? Would we be exposing our kids to unreasonable risks, or is this just a moment to take advantage of? Anyone want to weigh in on this one? Sounds a bit scary… what exactly is political unrest? 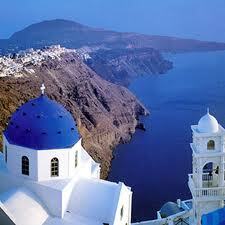 But at the same time, Santorini does sound quite tempting!